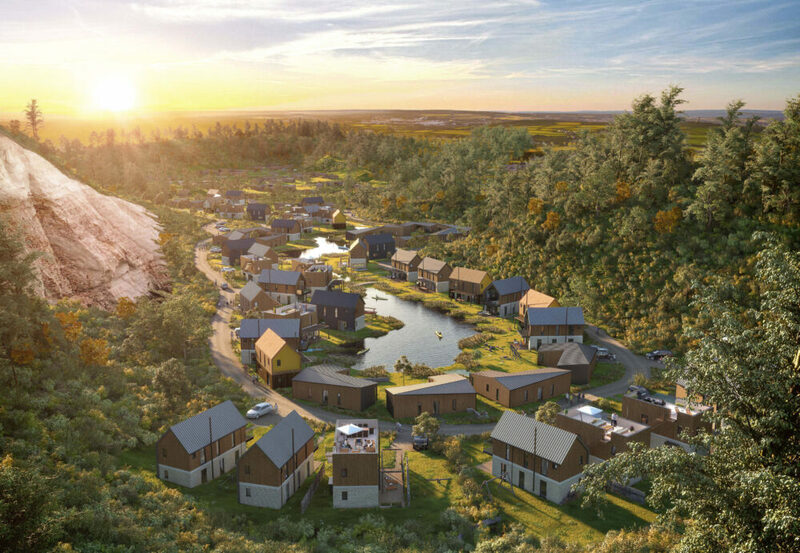 Birchwood Lakes is a resort of 158 holiday homes, spa, hotel and leisure facilities set in a former quarry in Devon. Outline planning consent was granted in 2017 and quarry landscape restoration work is completed. 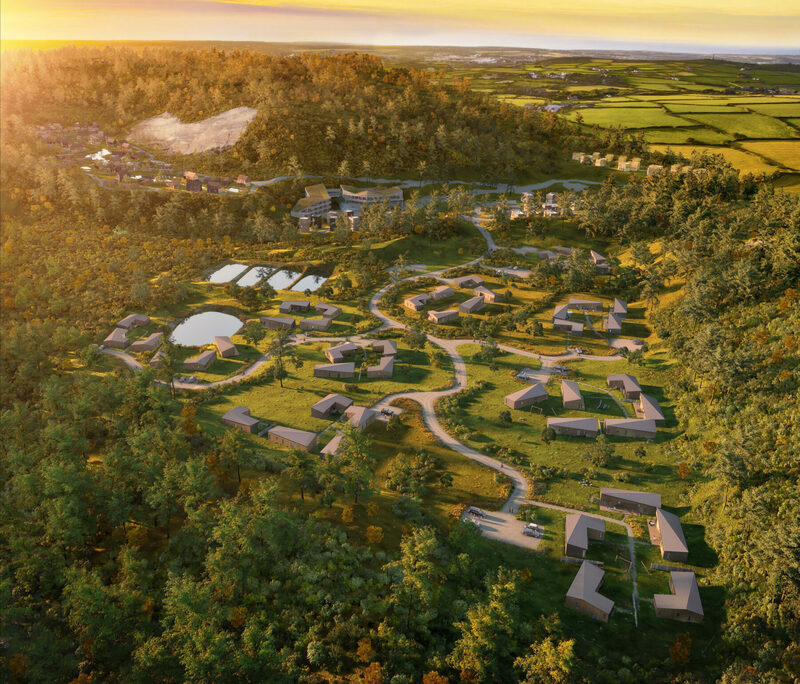 This 63-acre site is in rolling countryside, to the south of Barnstaple in North Devon. It sits on both a tributary of the River Taw and the Tarka Trail. 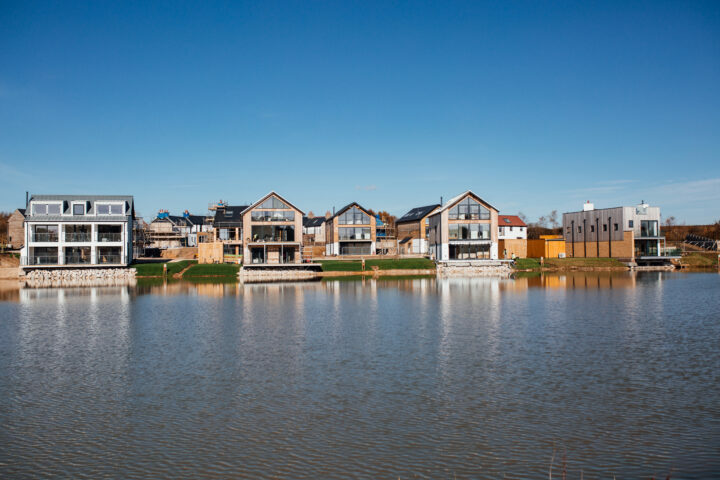 In contrast with our other schemes for Habitat First Group, which are either sand or gravel quarries, the Birchwood Lakes site is a steep-sided sandstone quarry which has been blasted for aggregate. The quarry came to the end of its productive life in 2006 and was awaiting remediation, leaving a deep scar in the landscape. 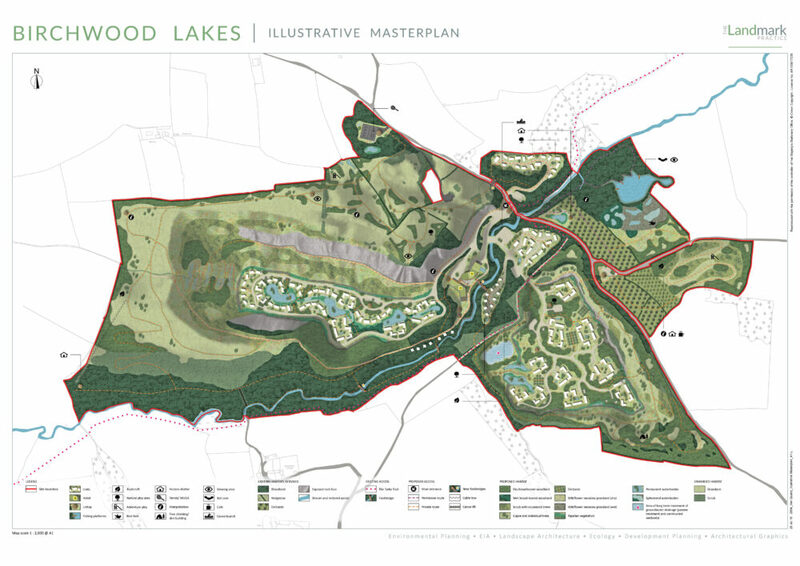 Our masterplan created distinct character areas of development within the redundant quarries, surrounded by a public access nature reserve. The approach to ecological enhancement has been adopted as an exemplar within the UNESCO North Devon Biosphere Reserve. Remediation of a stone quarry is technically challenging. The slab-sided quarries need to be re-sculpted to create safe slopes which sit comfortably within the surrounding landscape. Newly exposed rock faces cause acidification of rain water run-off, requiring a lengthy programme of remediation. 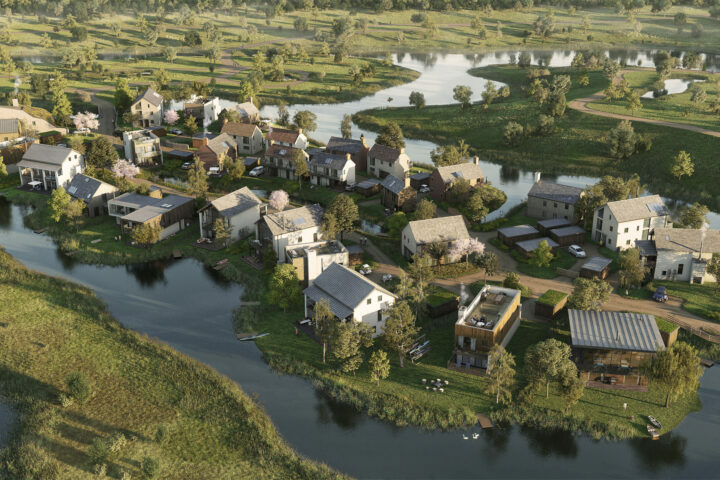 Working closely with the design team we developed a strategy for the landform and a programme of remediation. This achieved significant ecological enhancement whilst creating a commercially viable holiday village. The proposals locate buildings within the quarry floor, hidden from the surrounding hills. 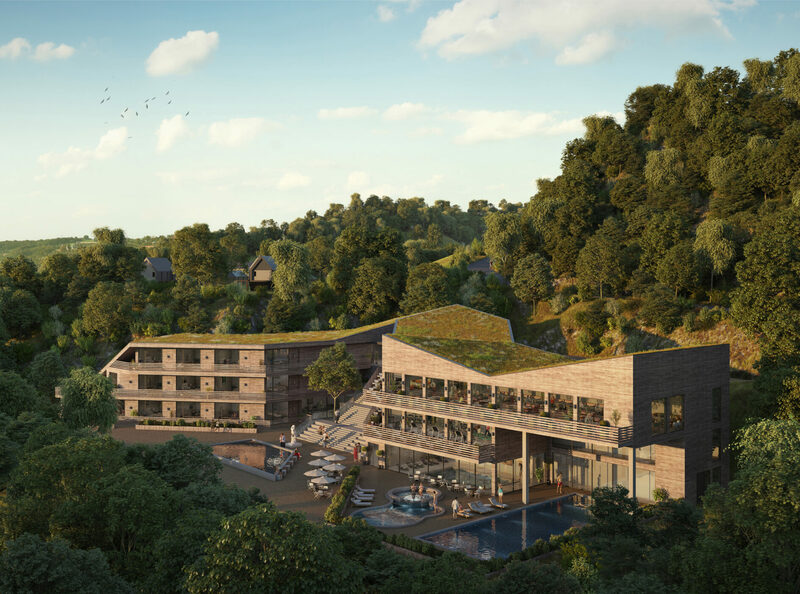 The masterplan allows the client to build 158 lodges and a 40-bedroom hotel, spa and swimming pool.